Matsumoto is Nagomi Visit’s third most popular area, especially being in close proximity to the Japanese Alps, Hakuba, and Shirakawago. 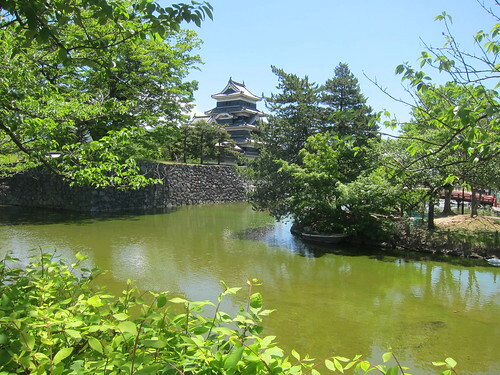 What are things to do in Matsumoto? We asked our Matsumoto hosts their favorite spots in their hometown. 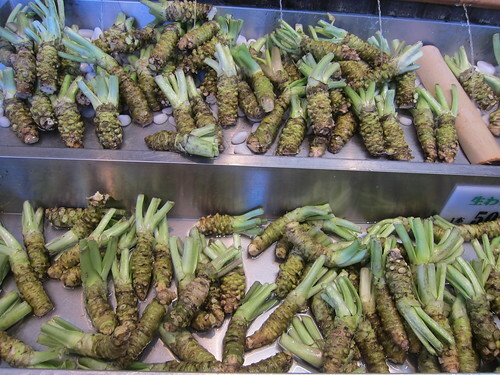 This a great place for Nagomi Visit foodies who really want to know what real wasabi looks and tastes like. It is far from the green mound of goop you may have seen in restaurants. It is the real thing and it tastes fresh. Oh, and you can buy some too. 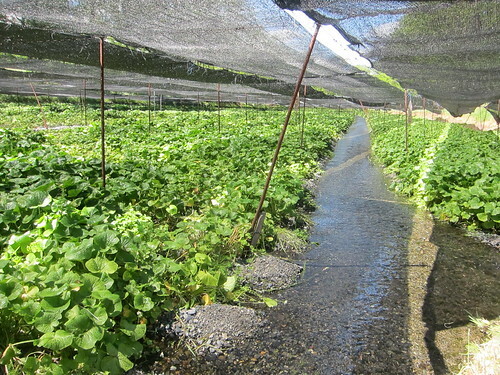 If you are adventurous ask where you can get wasabi leaves. They have fresh ones on sale but if you aren’t able to cook the leaves then find pickled ones to try in the shop. On a Nagomi Visit you will be able to experience what a modern residential or shopping street is like on your way to your host’s home so going to Nawate-dori Street would be a great way to find out what Japan was like in another era with it's retro buildings. For those interested in architecture, this is a great place for inspiration. Make sure to keep an eye out for details like the retro fonts on shop signs. Going to a local temple or shrine is a definite must for those going on a Nagomi Visit and Tokoji Temple would be a great place to start. You will finally be able to experience the true serenity you should feel when visiting a temple without all the tourist crowds. Make sure to look for the giant orange geta sandals for a moment of prayer. Don’t forget to look up and see the Japanese Alps in the backdrop. You may be on the way to the Alps but just imagine yourself surrounded by rice fields visiting your Nagomi Visit host’s home and seeing the mountains. It can’t get more local than that. Being one of the most recommended castles in Japan, there is no reason not to miss this beautiful landmark. For those going on a Nagomi Visit in Matsumoto during the spring and fall, the spring cherry blossoms and the fall foliage is a must. Here are 8 ways to travel like a local in Japan, Nagomi Visit-style. Yes, there are taxis in Japan but the train is not only convenient, on time, but safe. It might be intimidating at first especially when trying to navigate but your Nagomi Visit host or the team can help with directions so not to worry. Of course a friendly train conductor or fellow commuter will sure to be able to assist. Once you get on the right trains it is time to start people watching! 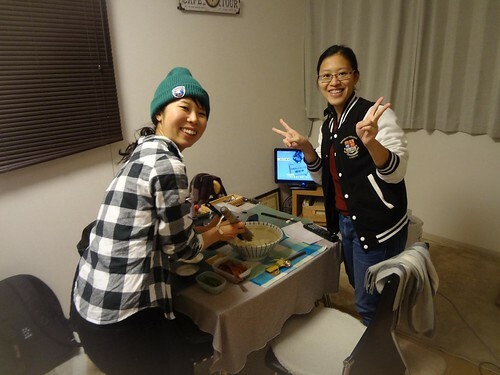 As a Nagomi Visit guest you have the opportunity to ask questions directly to the locals themselves so make sure to share your observations with your host and maybe you might gain a bit of insight into Japanese culture. You will for sure do this if you go on a Nagomi Visit but make sure to pay attention while you are walking to your host’s place. You might spot a hidden gem like a small temple or shrine. No one is expecting you to be fluent. Just a few friendly words will go a long way like a simple thank you, Arigato gozaimasu. For a Nagomi Visitor, add on a few like hajimemashite (nice to meet you), when you are meeting your host for the first time at the station. Or oishii desu to say the food is delicious or gochiso sama deshita (thank you for the meal) after you have finished eating. You will get to see the real world of Japanese food beyond sushi, tempura, yakitori, and ramen. Ask your Nagomi Visit host if you can stop by a nearby by supermarket with them before or after your visit. 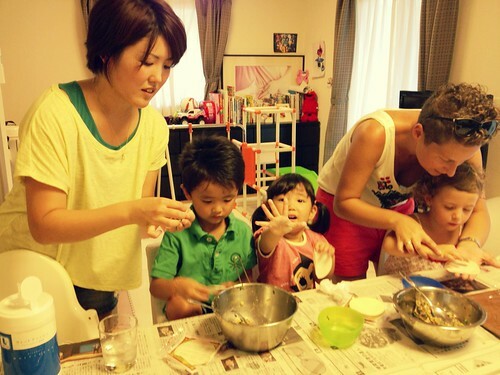 This is a great way to see a slice of Japanese life and of course to learn more about real Japanese food. A convenient store is also a fun place to visit before or after a Nagomi Visit. This is especially true if you were lost in the aisles in your previous visit there. Now your host might be able to explain to you what some things are so you will be less intimidated to try! Just ask your host if there is anything going on nearby and they may be able to direct you to something or have time to join you. Whether it is enjoying the cherry blossoms at a nearby park, or participating in a small local matsuri festival during the summer, you will be able to experience these very Japanese traditions without the tourist crowd. Even though you are not singing in front of a random audience like a karaoke bar, going into a karaoke box takes a little courage. If you happen to have some karaoke loving hosts they might be able to guide you through the process and maybe even teach you some Japanese songs. Tokyo and Kyoto are not to be missed of course but if you really want to get to know Japan make sure to visit other areas. 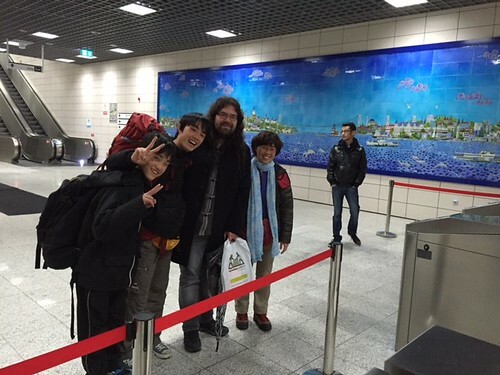 Remember there are Nagomi Visit hosts in various parts of Japan. Recent popular areas include Matsumoto or Nagano which is near Hakuba, and Hiroshima. Make sure to check out the Nagomi Visit host map. Where to Nagomi Visit in Japan? The answer is, all over Japan. The pull down menu on the booking page will show you all the areas Nagomi Visit hosts are available. The following map which is linked under the pull down menu on the same booking page will help to see the locations visually. Some popular destinations are Tokyo, Kyoto, Osaka, areas close to Hakuba-mura such as Matsumoto and Nagano, Hiroshima, and more. The Nagomi family keeps on growing every day so make sure to keep on checking the list! 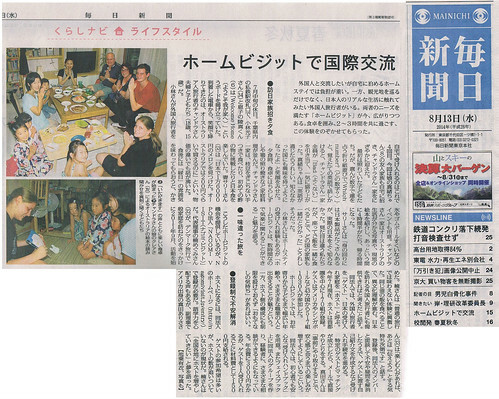 A nice long feature article was written about Nagomi Visit in today’s (August 13th, 2014) Mainichi Shimbun, one of Japan’s largest newspapers. What was amazing about the article was not only was it very long and extremely noticeable to those reading the newspaper today since it filled half a page with color pictures, but the hosts and guests interview quotes that were include in the article really explained how Nagomi Visit is about creating a sense of connection between people beyond all the cultural difference you see on the surface. The guests in the interview mentions how although on the surface we may look different, when you are given the opportunity to really sit down and eat together, you start to understand that all of us regardless of what country we are from are essentially part of the same human race. The hosts in the interview also talk about how great an opportunity Nagomi Visit is in that it allows them to realize there is a whole world out there of interesting people and since for many it is their chance to hone their language skills, it gives many the confidence they need to communicate in this global world we live in. Arigato Mainichi Shimbun for this amazing article. Here is the English translation that Mainichi Shimbun provided. Unfortunately I think the translator was pressed for time so the writing is a bit on the dry side so the tone of the article is lost but it does give you a general idea of what the article was about. Those interested in reading the article in Japanese, here is a screenshot of the easier to read online version. 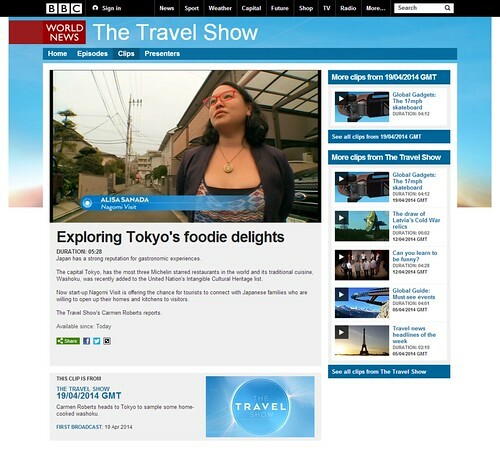 Missed Nagomi Visit on BBC World News The Travel Show? Not to worry. Here is a brief recap! The BBC travel show that features Nagomi Visit starts off by talking about how traditional Japanese food recently got UNESCO heritage status and begins to share a little about Japanese food joints that locals go to. This is sort of a segue that leads to the part about Nagomi Visit. 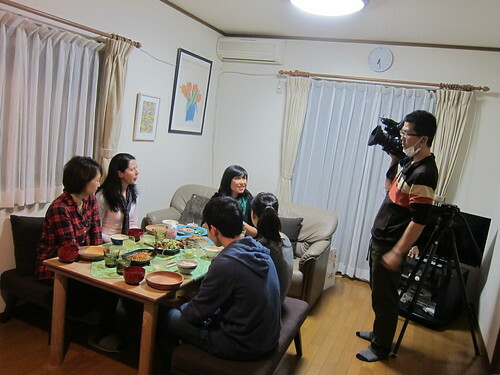 “It is not quite the same as eating at a real Japanese home” the TV presenter tells the viewer. Though it seems like only people in the UK can see the whole 30 min show online on the BBC iPlayer website unless you have BBC World at home, but fortunately there is a 5 min clip which pretty much covers the whole Nagomi Visit part so you are in luck! What was great about this coverage was that though brief, you can visually understand how a Nagomi Visit works from start to finish. The Chief Operating Officer of Nagomi Visit was also there to talk a bit about what Nagomi Visit is all about. Here are just a few fun behind the scenes photos. Though a few were a bit nervous, everyone was excited for sure! 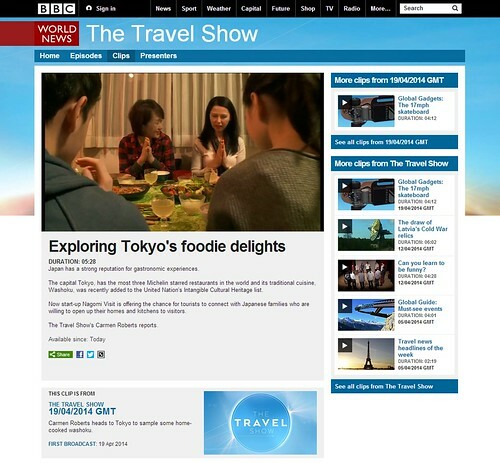 On April 19th 2014 03:30 GMT, Nagomi Visit will be on BBC World News The Travel Show. Check out their website for a preview of the show or click here to see TV Schedules so you can set your DVRs or watch! You will see Nagomi Visit already featured in their online clip starting from 1 minute 48 seconds to the end of the clip. It is hard not to do the cliché thing and get overwhelmingly excited about this and to want to thank everyone involved in making this happen. But more than ever, it is moments like these that allow us to remember all those friends, family, hosts, and guests who believed in us from the beginning. We would not be here without you. This is an ongoing list of places we think are good alternatives to go shopping for souvenirs who are looking for something a bit different than obvious answers like Kappabashi Street, though we do like Kama Asa Shoten. 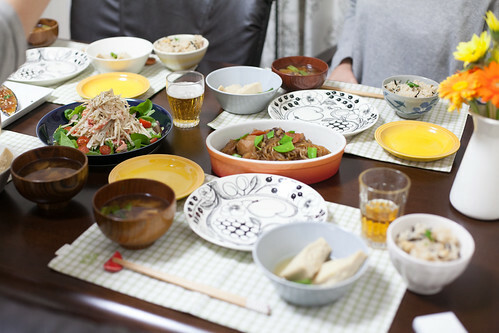 At Wise Wise Tools, you will find traditional dinner and kitchenware in their store in Mid Town Galleria 3F in Roppongi. There are other stores on the same floor that sell traditional Japanese items of various price ranges so be sure to check the area out. Though there will be a few things where you would be too scared to check the price tag such as inside The Cover Nippon, at least you will be away from anything kitsch. Don't forget the other floors too like the basement where you will find Sake shop Fukumitsuya, Toraya, and Kayanoya where are food places for a foodie since you will be able to buy great sake, confectioneries, and good quality dashi stock. At the D47 Design Travel Store on the 8th floor of the Hikarie building in Shibuya, you will find food, dinnerware, kitchenware from all 47 prefectures in Japan. The store is small so make sure to also check out the 5th floor where you will find U.Q. and CLASKA Gallery & Shop "DO" on the 4th floor for more household goods, and the basement floors of the Hikarie building where there is a upscale Meidi-ya supermarket. Another place to check out while you are in the Shibuya area would be Tokyu Foodshow also near the JR Shibuya Station where you will find a great supermarket in the basement where you might be able to grab some groceries like gourmet soy sauces, miso paste, and more. On the same floor is Wayoshu where they sell sake, and for those who are looking for good mirin, here is your place. At Kitte just outside of Tokyo Station you will find many stores such as Nakagawa Masashichi Shoten, CLASKA Gallery & Shop "DO" among other places on the 4th floor that sell a variety of household goods that put a modern twist to traditional Japanese kitchenware and more. There are also other recommended stores such as Floyd on the 3rd floor, Spiral Market on the 1st floor and confectionery stores on the first and basement. Near 2k540, a line of boutiques under railway tracks, you will find Chabara Aki-oka Marche, a whole store dedicated to featuring foods from all over Japan. Katakana is not exactly a place to find foodie related stuff but if you like home accessories, design, this is a fun place to check out too. Plus the neighborhood is one step outside of your typical tourist route and into residential areas so it's a nice place to explore. Don't forget to stop by the many confectionery stores you will see on the streets like Feve near the station. 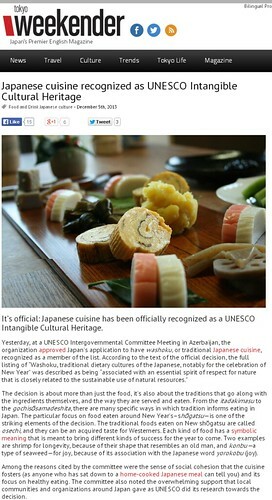 Washoku, or traditional Japanese cuisine, has been added to UNESCO's intangible heritage list. How is Nagomi Visit going to celebrate? Simply by making washoku more accessible to everyone. 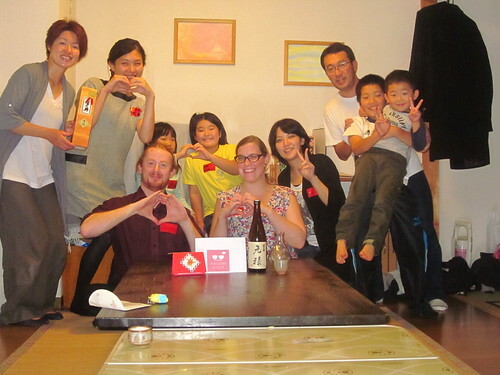 We want to continue to provide opportunities for people to try real washoku with locals all over Japan. As mentioned in the following article, the UNESCO listing not only focuses on Japanese food but recognizes that "washoku plays an important role in strengthening social cohesion." We at Nagomi Visit sincerely want to help strengthen not only local familial ties but in the global community with washoku. And of course it would be silly to keep all the delicious washoku in the world to ourselves so why not share with a Nagomi Visit or two! Thanks to Tokyo Weekender for mentioning us in yet another article! 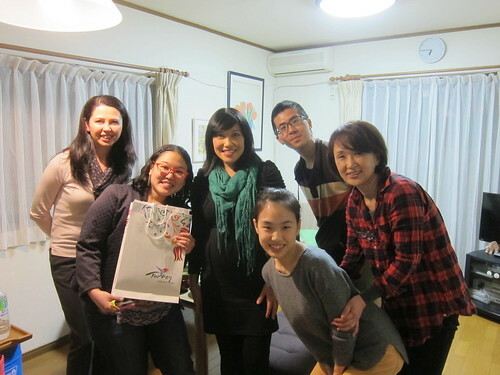 Since the first Nagomi Visit in 2011 when the program was founded, we were always about connecting people. 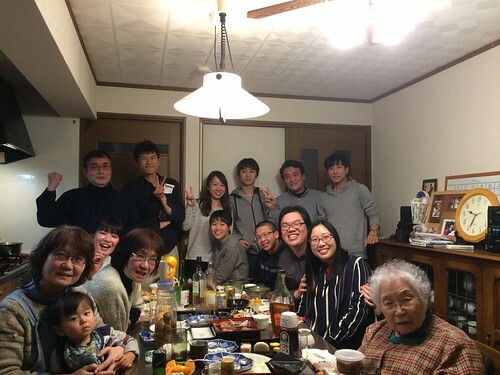 However, who knew Nagomi Visit would become a place for celebration too! We've seen so many celebrate their honeymoons, anniversaries, and birthdays with Nagomi Visit. Looking back at all the Nagomi Visits that happened all across Japan, really love the creativity that has gone into our program. All because of you amazing Nagomi Visitors out there! What did you do at your Nagomi Visit? 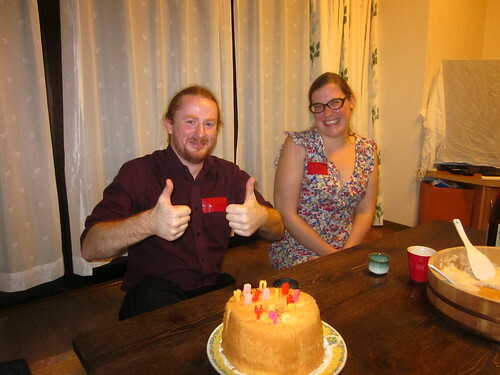 Here are the many ways past participants have enjoyed their Nagomi Visits. Many of our guests participate as a couple, with friends, or family members. It's definitely an activity people of all ages seem to agree on. Enjoy it solo! If you are traveling alone and striking up a random conversation at a local izakaya bar seems a bit too far fetched, Nagomi Visit is a great alternative. If you are participating solo, you have the advantage of being able to speak one-on-one with the host so it's your opportunity to ask all your Japan related questions. Don't be shy! 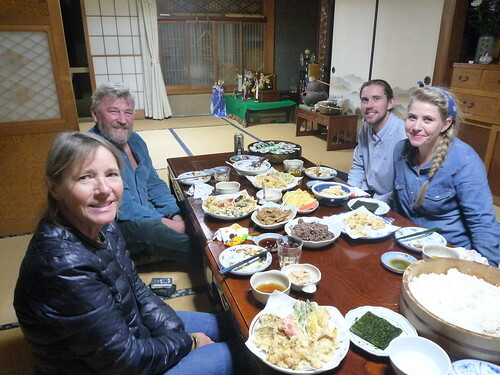 We hope everyone will be discovering something new during their Nagomi Visit but if there is something in particular you want to learn more about, such as macrobiotic home cooking, it doesn't hurt to look for a host that matches your interest! Learn how to make dishes like gyoza dumplings, battered takoyaki octopus snacks, savory okonomiyaki pancakes, and more. It will just be like learning to cook with a friend so the environment will be relaxed and casual. Your host will be able to show you food and ingredients they love and eat everyday. If you have something in particular you are looking for, your host might also be able to help. 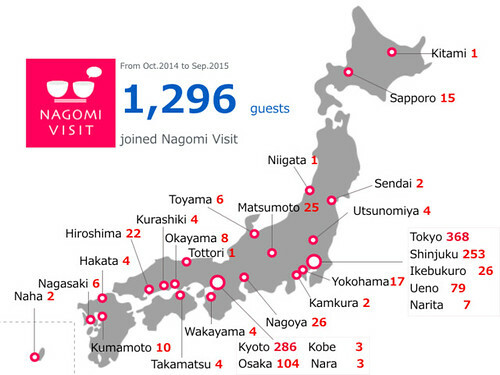 Many participants are going on multiple Nagomi Visits to learn more about Japan. Sometimes in just one city or multiple cities with the most popular combination being 1 host in the greater Tokyo area and 1 in one of the Kansai area cities such as Osaka or Kyoto. But remember, there are many hosts all around Japan so make sure to check our coverage! Though we setup guests with hosts who are within an hour reach from wherever they are staying, some people opt to visit a little further out to experience a different side of the city. Many are surprised with the real local scenery found just outside the city center. We have seen so many celebrations go on throughout the months! For birthdays many hosts and guests work together to surprise a friends or family member. There are also times when the host just goes ahead to plan a small surprise for the guest. Everything goes so just use your imagination and you can do some amazing things! Sometimes the hosts suggest activities or you can too. This may be going to a local park, showing how to do origami, pretty much anything to add a bit more fun. 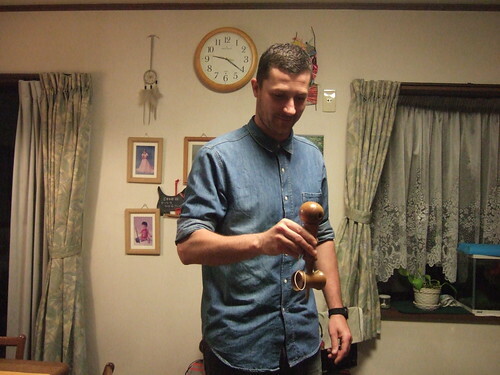 Want to learn some kendama tricks? Just ask. The beauty of the Nagomi Visit is that although the visit itself lasts 2-3 hours, it's an opportunity to make a promise to meet again. Whether it is a few days later while you are still in Japan or if the hosts is visiting your home country.